A mockumentary is a film created in the style of a documentary but based on a fictionalized subject. In most cases, mockumentaries present their subject in a satirical light. Many mockumentaries feature improv-style comedy, and it is common for mockumentary contributors to work on both sides of the camera as actors, writers, and/or directors. Some mockumentaries are even shot in public, with participants unaware that they are in a comedy film. The highest-grossing mockumentary film of all time is Borat: Cultural Learnings of America for Make Benefit Glorious Nation of Kazakhstan. 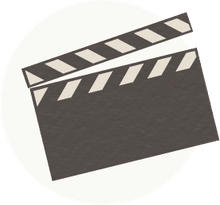 By definition, a mockumentary is a comedy that is produced and edited in the style of a documentary, often featuring the characters breaking the fourth wall by speaking directly to the audience on-camera or via a voiceover. In some cases, there may be an on-camera director/documentarian who plays a role in the story and provides a backstory about the fictional documentary. However, other mockumentaries make little effort to explain who is shooting the footage or why, and the audience is expected to suspend its disbelief while watching. While mockumentary films are generally comic, elements of mockumentaries can be seen in other film genres. For example, found footage horror films like The Blair Witch Project and Paranormal Activity have been influenced by the "fake documentary" style of mockumentaries, without including their comic tone. The style of film mockumentaries has also influenced television sitcoms, including popular shows like The Office, Parks and Recreation, and Modern Family, all of which employ single camera, documentary-style formats. From the earliest mockumentaries to the more recent box-office releases, these are some of the top mockumentary movies. One of the earliest mockumentaries, Woody Allen's Take the Money and Run examines the career of bumbling bank robber Virgil Starkwell (played by Allen, who also directed and co-wrote the film). Though the film was not successful at the box, the way it lampooned the documentary style influenced later mockumentaries. Woody Allen Interposed Between Coolidge and Hoover. From the 1983 film Zelig. Woody Allen returned to the mockumentary format with Zelig, a film about a man (played by Allen) who has the remarkable chameleon-like ability of imitating the appearance and characteristics of individuals he encounters. Much of the film is presented as a black-and-white newsreel from pre-World War II. It required significant production time to insert Allen's character in archive footage. This Is Spinal Tap follows a fictional English heavy metal band called Spinal Tap on their American tour. The landmark comedy, which parodies rock and roll documentaries, is arguably the best-known mockumentary to this day. 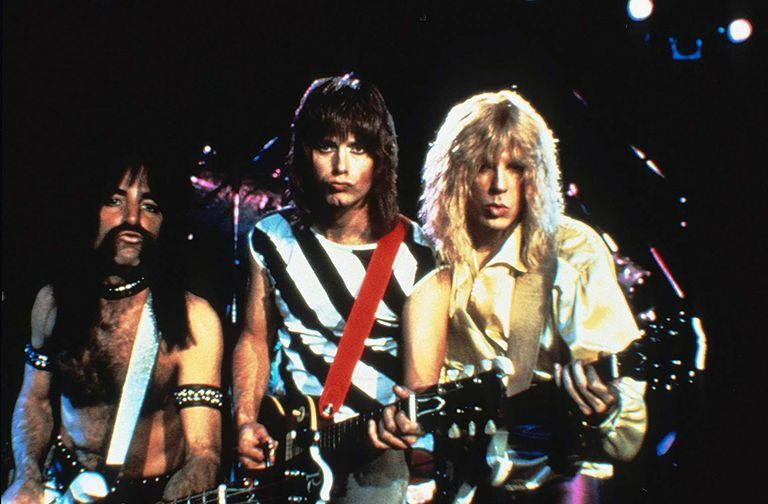 Christopher Guest, who starred as Spinal Tap guitarist Nigel Tufnel, would go on to direct other mockumentaries, including Best in Show and Waiting for Guffman. Much of the film's dialogue was improvised, a style that Guest continued in his later work. Actor Tim Robbins wrote and directed this political mockumentary about a U.S. Senate race, with Robbins starring as the titular Republican folk musician running against the Democrat incumbent (Gore Vidal). Through black comedy, Bob Roberts examines the influence the media and celebrity have on U.S. politics. Best in Show is one of director Christopher Guest's best-known mockumentaries. The film, which was largely improvised, focuses on a championship dog show and the various competing dog owners, all of whom are eccentric in their own ways. Comedian Sacha Baron Cohen brought his Tha Ali G Show character, Kazakhstan journalist Borat Sagdiyev, to cinema screens in this 2006 mockumentary. The film depicts the character on a journey across the United States. As a mockumentary, Borat is notable for featuring the character's interactions with unknowing participants—in other words, unlike a mockumentary in which all characters are actors, many of the people seen in Borat were not in on the joke. Though I'm Still Here is fictional, during its production and promotion it was presented as a real documentary chronicling Academy Award-nominated actor Joaquin Phoenix's perplexing journey in which he retires from acting to pursue a rap career. In addition to Phoenix, the film features many other celebrities playing themselves, including the director Casey Affleck.